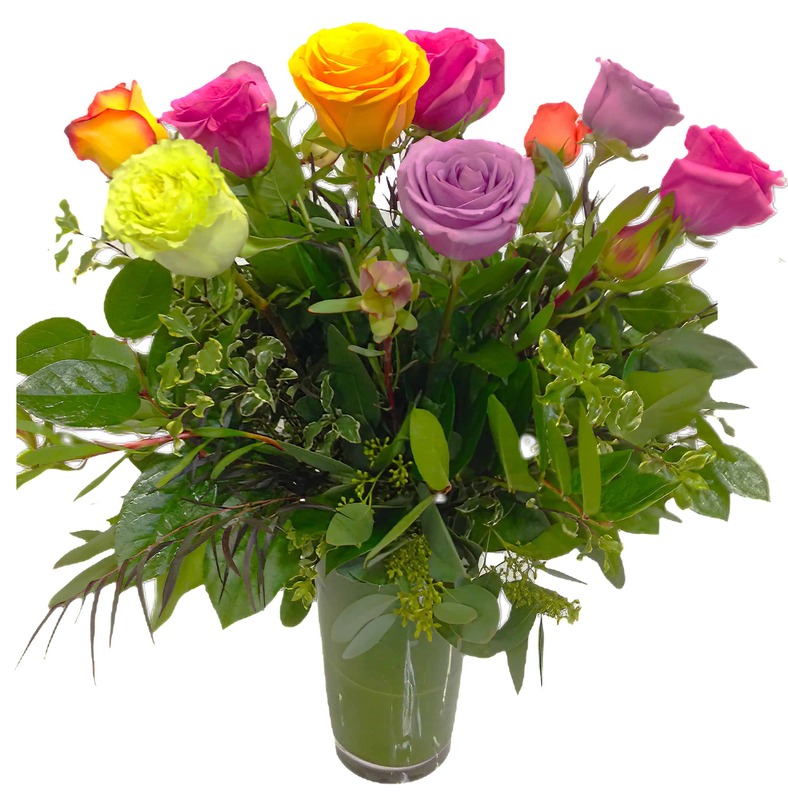 This beautiful arrangement takes 12 of the finest Long Stem Roses, imported for generations, and artfully arranges them with interesting foliage and organic seasonal elements in an attractive glass vase wrapped with exotic leaves to hide the stems. The stem length is extremely long and each blossom is large and full. This arrangement is sure to impress and cause a chatter. The perfect alternative to red - do a mix or a solid color!